Teleradiology has made it possible for many patients to get better and more specialized medical care, even if they are in remote areas or halfway around the world from the physician best suited to their specific case. This is definitely an improvement over the days before teleradiology, when those who lived off the beaten track usually found themselves making a choice between being airlifted by plane or helicopter, transported by boat or driven in a car to a physician with specialized training in their particular health problem...or not getting that specialized care. In this type of either/or situation, the patient is clearly the loser. If a patient chooses to stay put and not venture farther afield for an expert medical opinion, he or she may suffer serious consequences, health wise. But, if one decides to go the distance and travel in order to consult a specialist better able to help with his or her health condition; there might be all sorts of complications such as arranging child care and/or pet care, plus the considerable expense involved in travel, meals and accommodation wherever the specialist is located. Factor in the possibility of time lost from work and it's easy to see that in many cases, a patient would decide to stay home and do without a specialist rather than face such inconvenience and expense. Teleradiology and telemedicine have made a huge difference for these patients. The military is another prime example of how teleradiology has helped thousands of patients. 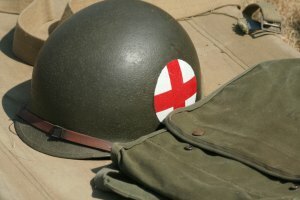 Before modern technology brought us teleradiology, soldiers who were far from home often sacrificed expert medical care due to being in remote areas of the world, often in underdeveloped regions without the perks of modern civilization such as up-to-date physicians and hospitals. During the Vietnam War, for example, wounded or critically ill soldiers had to be transported by one means or another out of the country to larger hospitals equipped to deal with their problems. While this was a big improvement over battlefield injuries such as those sustained during the Civil War or Revolutionary War, the fact remains that it was not an ideal situation and wasted valuable time that might spell life or death to the wounded patient. Nowadays, the military makes full use of teleradiology and has been doing so for some time. In fact, electronic imaging technology is intrinsically important to medicine in the military. In 1995, the United States government began deployment of 20,000 troops to Bosnia-Herzegovina. This was part of a NATO operation meant for peace keeping. Medical facilities were to be set up in Hungary and Bosnia, the areas of deployment. Primetime III was a project created to use both teleradiology along with telemedicine capabilities that would effectively link these military medical facilities. It was enormously effective. Since that time, teleradiology has been put to good use in the military and will undoubtedly continue to be used in the future. From soldiers to civilians, teleradiology has played a pivotal role in saving lives and providing a better quality of health care to people all around the world.